Pilates is a vigorous full body exercise system that utilizes a variety of specialized equipment such as the Reformer, Cadillac, Chair, and Mat. Pilates is a whole body workout as well as a mental workout. 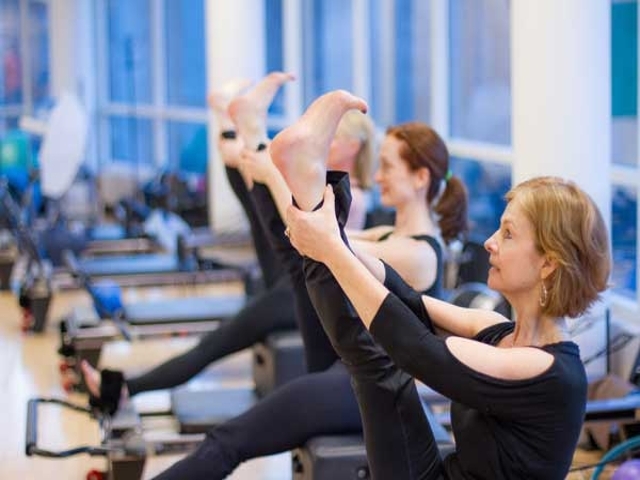 The Intro Package consists of four 55-minute private sessions and is designed for those new to the Pilates Reformer. You will learn how to personalize reformer settings, focus on breathing, body-awareness and the core principles that constitute the Pilates repertoire. Group classes not your thing? We also offer private pilates sessions! Contact Sarah Richardson, Pilates Director. Prerequisite: Assessment by a Pilates instructor to assess the member's ability to move to the regular classes or begin with the Intro Package. This Pilates reformer class is ideal for those new to Pilates as well as those looking to refine their practice. Members will perform traditional Pilates reformer exercises using slow, controlled movements while focusing on alignment, stability, and breath. When done consistently, these exercises will aid in improving alignment, posture, balance, mobility, and strength. Minimum Requirements: While this class is open to all levels, participants must have completed the Intro Private Package OR Ready, Set, Go in order to attend this class. 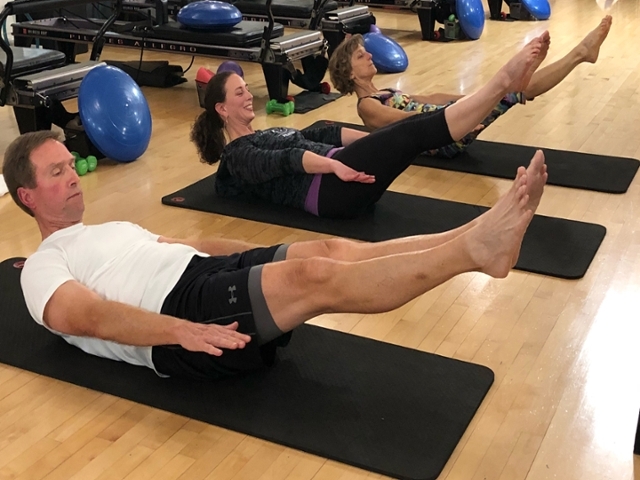 Participants with prior Pilates experience but new to ClubFitness must complete a one-time Pilates assessment before being allowed to attend class. Slow down and give your body the attention it deserves! 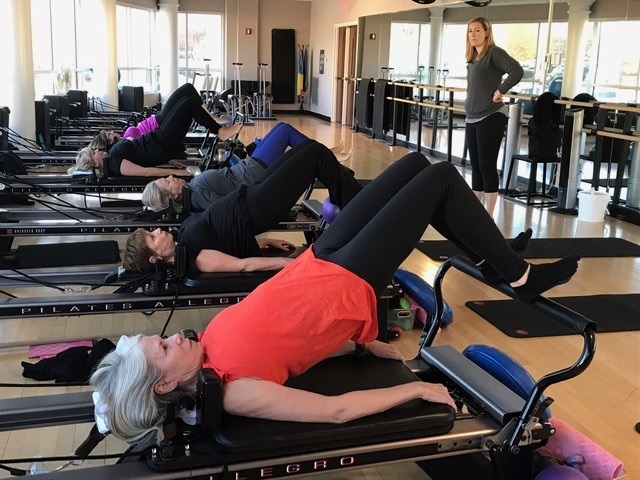 This Pilates class takes place on both the Mat and Reformer and will help you to restore, realign, and renew your body. Classes may also use small props such as the stability cushion or foam roller to aid in increasing mobility, balance and flexibility. Minimum requirements: Participants must have completed the Intro Private Package. Additional requirements: Members must have no major structural injuries and should be able to follow verbal cueing in a group class environment. Mat, Ball, & Props classes are group training classes performed on the floor using just your body weight. Small props like hand weights, stability ball or magic circle can be added to increase the intensity of the exercises. Mat classes are designed to focus on core strength and stability with the purpose of improving posture and helping to prevent injury in sports and daily activities. Modifications will be offered to accommodate different body types and levels of fitness. Minimum requirements: This class is open to all members of Club Fitness and has no pre-requisites.